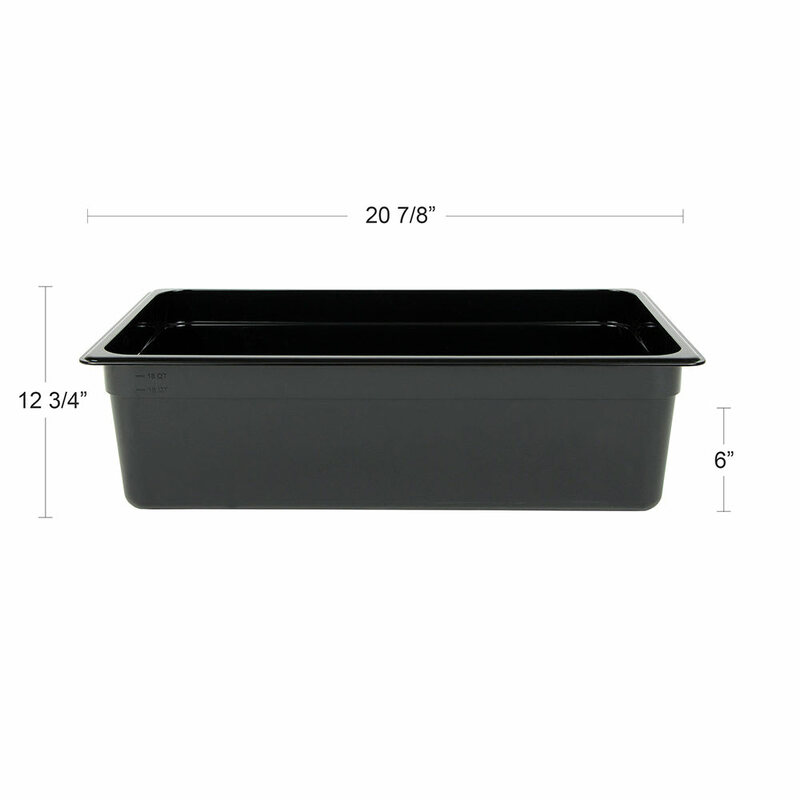 The Cambro 16CW110 Camwear® food pan holds 20.6 quarts of product, comes in black, and has molded-in graduation markings. To resist scratches, the bottom of the dish is textured. A smooth, non-stick interior simplifies food removal and cleaning. 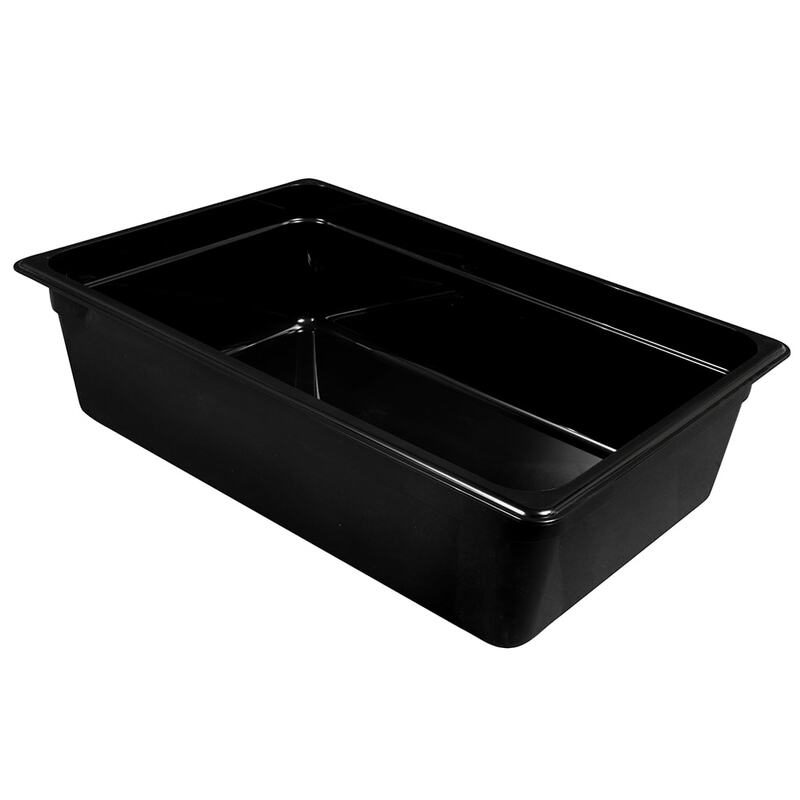 Constructed of heavy-duty polycarbonate, this pan should not be used in steam tables or in microwaves. Overall dimensions: 12.75 in. x 20.875 in. x 6 in. Want to know more about food pans? 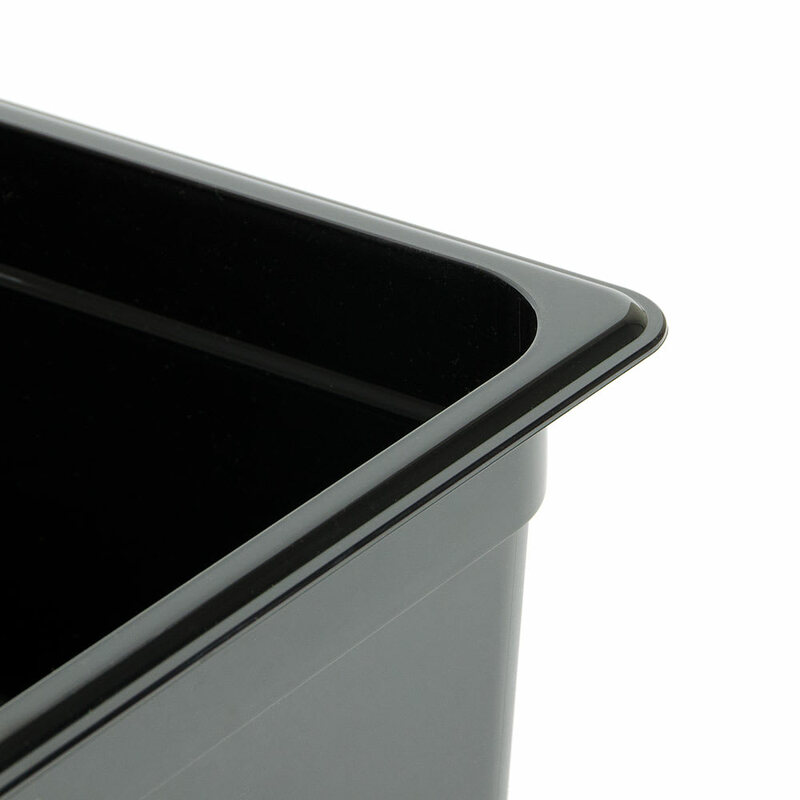 Take a look at the Cambro food pans article.